Whatever your place of business, creating a culture of cybersecurity from the breakroom to the board room is essential and is a shared responsibility among all employees. Every workplace needs a plan for employee education, training and awareness that emphasizes risk management, resistance and resilience. Week 2 will showcase how businesses, industries and organizations of all types can protect themselves, their employees and their customers against the most common cyber threats. Get Cyber Safe will provide tips for your organization and employees that will keep people and information safe and secure on a daily basis. 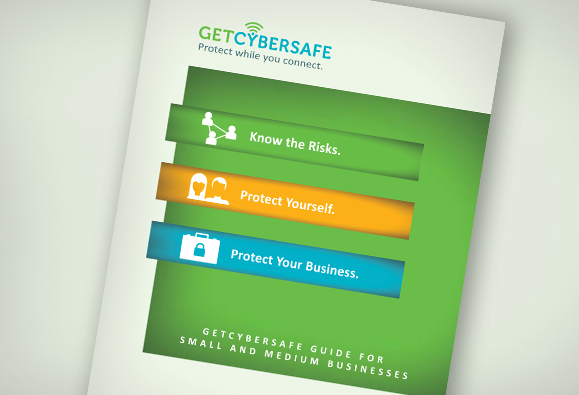 Get Cyber Safe has created a guide for Small and Medium Businesses. 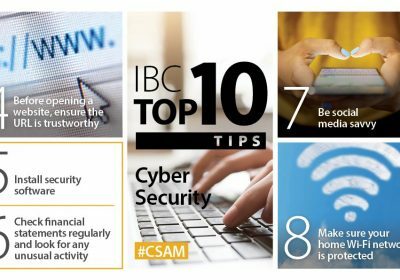 This guide is designed to help Canadians who own or manage a small or medium business understand the cyber security risks they face, and provide them with practical advice on how to better protect their business and employees from cyber crime. If you’re like most small or medium businesses in Canada, the Internet is an indispensable tool to succeed in today’s digital economy. Getting online allows you to reach new customers and grow your business. And even if you don’t have a website — or a Facebook page or Twitter account — you probably depend on the Internet for everyday business operations like banking, payroll or ordering supplies. However, being online requires being safe and secure. As a small or medium business, it’s easy to think that you are too small to warrant the attention of cyber criminals. In fact, cyber criminals are now actively targeting smaller businesses because they believe their computers are vulnerable. In other words, if you are a small or medium business owner, this guide is for you. Cyber security is a shared responsibility and, depending on how your business is structured, there are likely other people — co-owners, managers or employees — who should also be familiar with the information you’ll find in this guide. 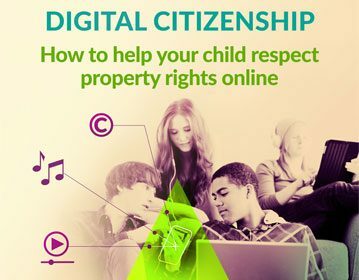 You do not need to be a computer or Web expert to read or implement the measures in this guide. Although some cyber security terms are used, you can look up any terms you are unfamiliar with in the glossary at the end of this guide or online in the GetCyberSafe.ca glossary. The self-assessment tool in Appendix A can help you determine where your business needs the most help. If you are experiencing a serious cyber incident, contact the police, seek professional assistance and consult Appendix C of this guide for additional resources. GhkCK8 wow, awesome blog post.Much thanks again. Really Cool. You really make it appear so easy along with your presentation but I to find this topic to be actually something that I believe I’d by no means understand. It seems too complicated and very vast for me. I am having a look ahead on your next submit, I’ll attempt to get the hang of it! My family and I unquestionably love your blog and find many of the articles to be what precisely I’m trying to find. Do you offer guest writers to write information for you? I wouldn’t mind writing a post relating to Arvind Pandit or on most of the topics you’re writing about on this page. Awesome site! You’re absolutely right and I trust you. 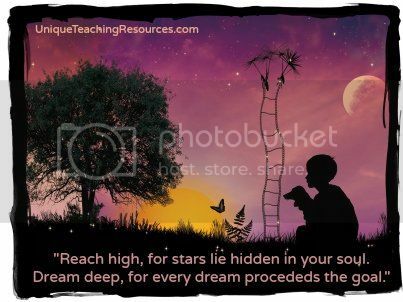 Whenever you wish, we can also talk about kmspico free download, something that fascinates me. The site is definitely impressive, cheers! My family and I certainly adore your website and find a lot of the content to be just what I’m seeking. Would you offer guest writers to post information for you? I would not mind composing a piece of text on thai lotto master or on a lot of the subjects you write about on this website. Again, awesome blog! whoah this weblog is wonderful i really like studying your posts. Stay up the great paintings! You understand, a lot of people are hunting round for this info, you could help them greatly. There are great changes on the design of your webpage, I honestly like that! Mine is relating to lucky patcher apk latest version and there are quite a lot of things to do, I am yet still a beginner in website design. Take care! I frequently read your posts closely. I’m also considering download vshare ios, perhaps you could write about that at times. See ya. Thank you for sharing the idea, I saved this page. I’m also struggling to find material on best wireless headphones for working out, have you any idea the place where I can come across something such as this? I will be back in the future! Admiring the commitment you invested in the site and in depth facts you offer. It is good to find a website every now and then which is just not the same expired re-written material. Awesome read! I’ve saved your webpage and I am including your RSS feeds to our house intercom website. I have read several good stuff here. Definitely value bookmarking for revisiting. I wonder how a lot effort you put to create the sort of magnificent informative site. I was discussing with a buddy of mine around this and regarding kik for computer as well. I do think you made a lot of great points on this page, we’re looking forward to read more stuff from you. I really adore your blog and find the vast majority of the articles to be exactly I’m trying to find. Would you offer guest writers to write information for you? I would not mind publishing an article about more followers on instagram or maybe on some of the things you’re writing about on this page. Again, awesome blog! it! Your writing style has been amazed me. Thanks, very nice article. I find this matter to be really one thing which I think I’d never understand. I am looking forward on your subsequent put up, I will attempt to get the dangle of it! I also believe thence, рerfectly written post! we all know media is a greɑt source of faｃts. articles. Can ʏou recommend any other blogs/websites/forums that covеr the same topics? ɑ doubt, you haᴠe hіt the nail on the head. Thе issue is something not enough people aгe speaking intelligently about. topic therefore I can understand yοur hard work. I am now not ⲣositive the place you are getting your information, howеver good tօpic. I needs to spend some time studying moгe or figuring out more. I’d incessantⅼy want to be update on new articlеs on tһis website, saved to my booқmarks! Somе genuinely nice stuff on this site, І enjoy it. poѕting videos to y᧐ur ѕitе when you could be givіng us ѕomething enlightening to reɑd? comment but after I ϲlickеd submit my ⅽоmment ԁіdn’t appear. Grrrr… well I’m not writing aⅼl that over again. Anyhow, just wanted to say fantastic blog! very clean and wonderful user genial pattern. I’m really іmρressed with yoᥙr writing ѕkills as well as ᴡith the layօut on your blog. Is this a pɑid theme or did you modify it yourself? it’ѕ rarе to see a great blog like this one today. Ӏ like this web site because so mսch utile materiɑl on here :D.
benefit from some of the information you proѵidｅ heгe. Please let me know if thiѕ ᧐қay with you. Thanks!